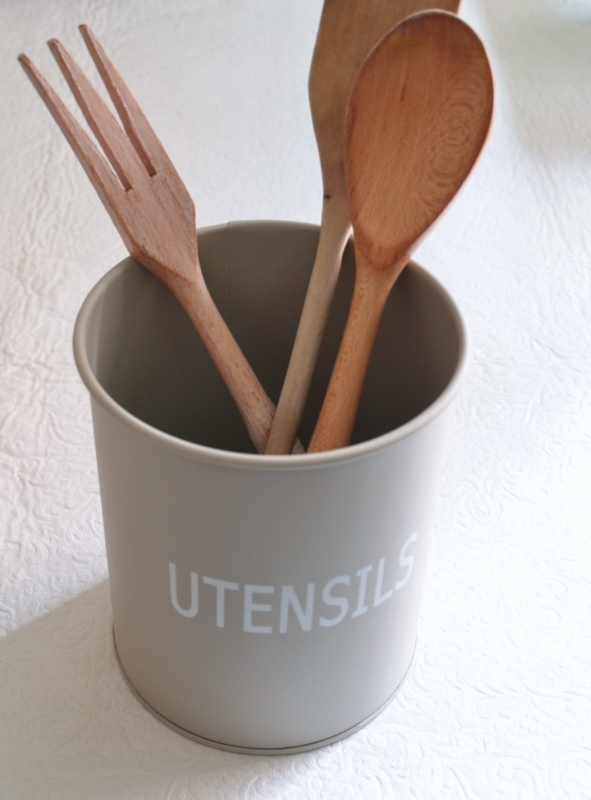 A few weeks ago, in one of my Insta-Friday cell phone photo posts, I showed you a sneak preview of some of the items I had purchased at a basket company's annual warehouse sale. I have been going for many years now and I have SO many baskets. I would be embarrassed to show you just how many. Yes, I am addicted to baskets. Presumably to help me stay organized, but I have so many that it is an organizational problem in itself. Of course, I still went to the sale. I just didn’t buy baskets. 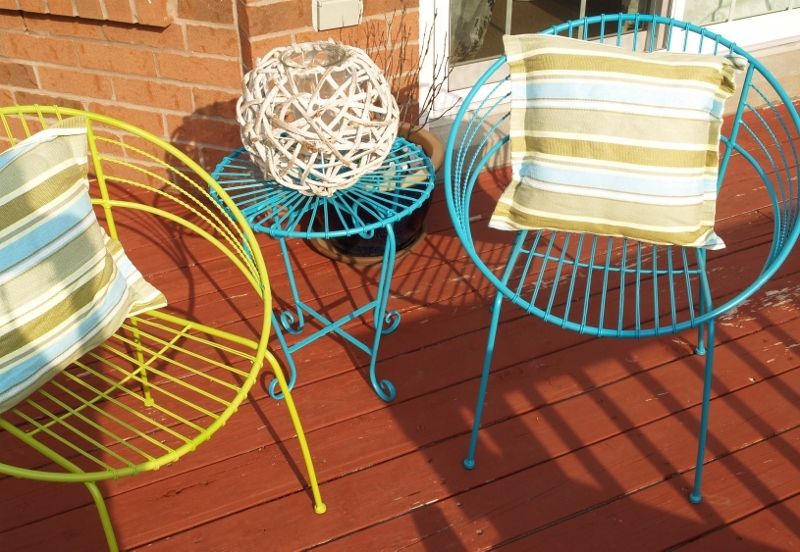 But, I bought some of their other lovely offerings, like these funky chairs, above. By the time I had waited in the lengthy line-up, the chairs had been reduced from $20 each to $15 each. The table was the same. 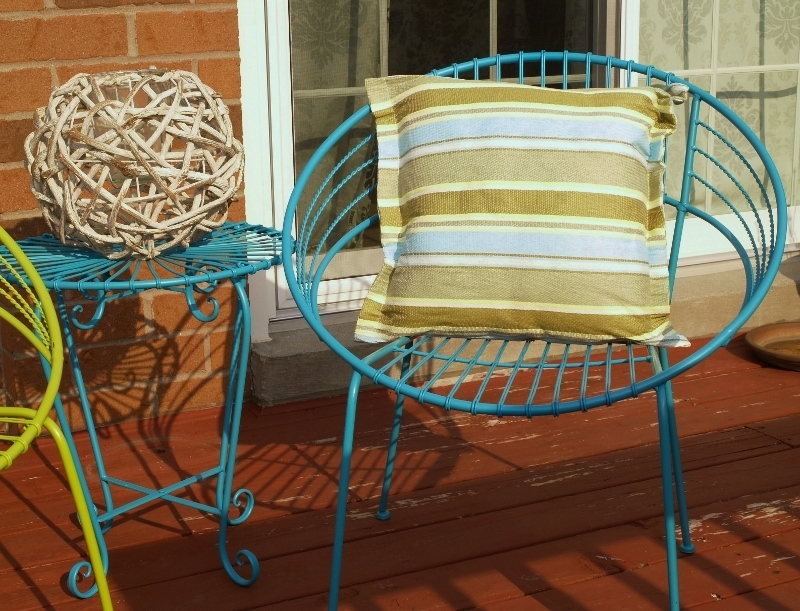 The outdoor pillows were $5 each. So, this set amounted to $55. I purchased the round white candleholder on the table at the same sale last year. I also bought this outdoor candle. And this pretty green box, which I currently have no use for. 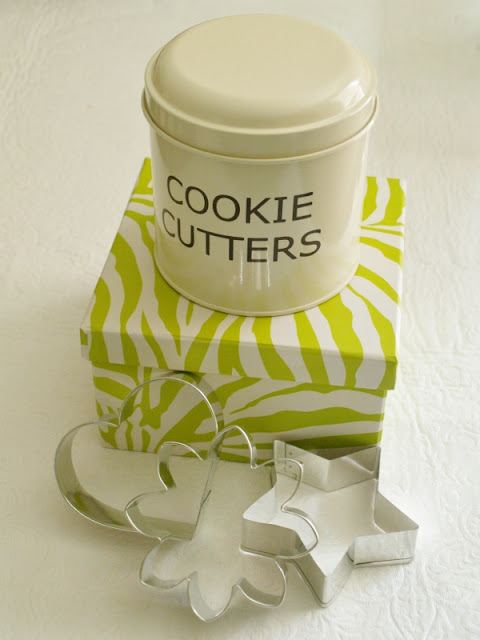 I also couldn’t resist the cookie cutters and their charming tin. Anybody else addicted to baskets? Have a wonderful Sunday as well! Thanks Rachael. I was lucky somebody told me about this place, because the sale is only once per year. These are all so cute! I especially love those adorable chairs and the cookie cutters + tin. Great finds! 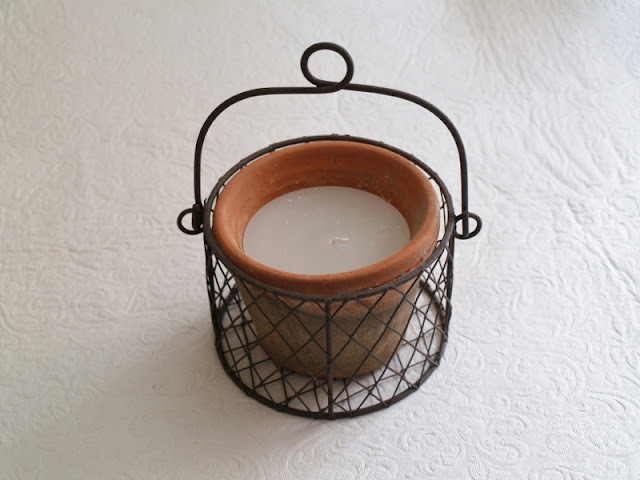 I absolutely covet that round white candle holder-- I can't wait to see what else you came away with! I have found some great stuff over the years at this sale. I love the candle holder too! I did a blog recently about sweet grass baskets when I bought one right outside of Charleston SC. Love the new table and chairs set! What a steal at that price! Those chairs ate the cutest! I've been able to keep the basket addiction in line, and I only buy little baskets for toys and kids organisation. But I know I would go gaga over the perfect old picnic basket with tartan lining. I haven't sat in one yet...but the whole family will soon be off for summer so we'll get some use out of them then! Whoa - what a great deal you got on the chairs and table! Too cute! i love the chairs and the table! and their amazing color POPS! good finds jo! I like the cheerful colours too! Thanks!